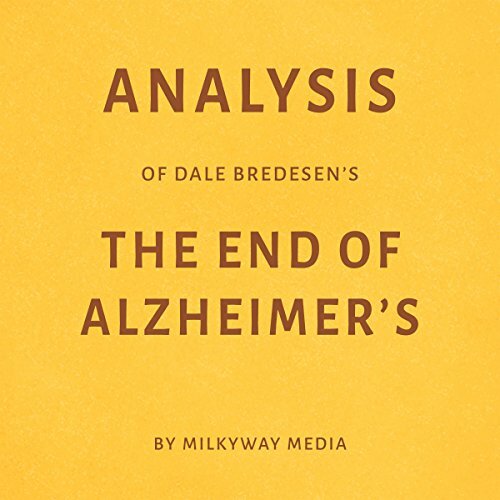 The End of Alzheimer's: The First Program to Prevent and Reverse Cognitive Decline by Dale Bredesen (2017) is an introduction to the ReCODE protocol, a set of treatments and lifestyle adjustments that are strongly correlated to improved mental state in Alzheimer's disease patients. Alzheimer's disease presents as gradual decline in mental capabilities, usually starting in older adults and marked by the loss of memory, awareness, and response agility. The End of Alzheimer's is such an important book. Don't waste your time & money on this insipid attempt at a summary. I was hoping the Analysis would give me some of the actual information from the longer book, but it didn't. It said things like "Next he talks about the Alzheimer's diet" without actually telling you what the diet is. Complete waste of time. Enjoyed the book . It was very clear and easy to understand analysis , which is very important for a non medical person. I will try to make use of some of the advices given in this book in my everyday life and am optimistic about its results .